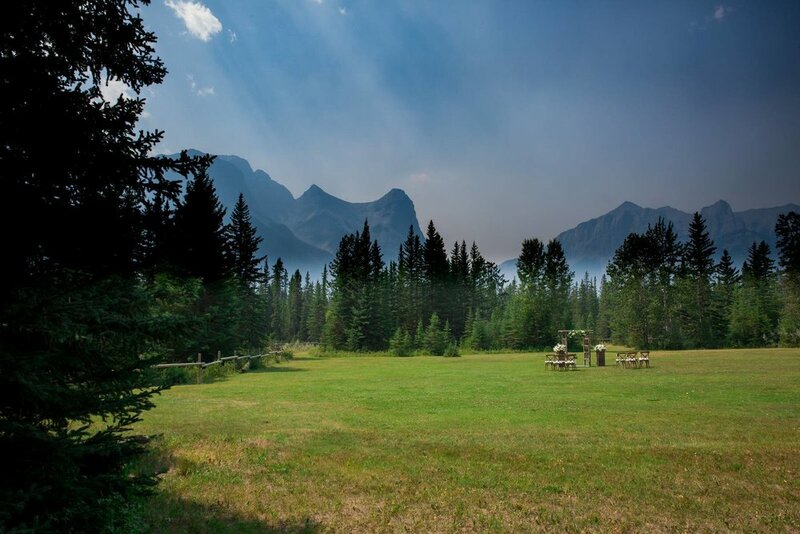 This is honestly one of Canmore's best kept secrets. Perfectly hidden in plain site this venue is absolutely amazing. 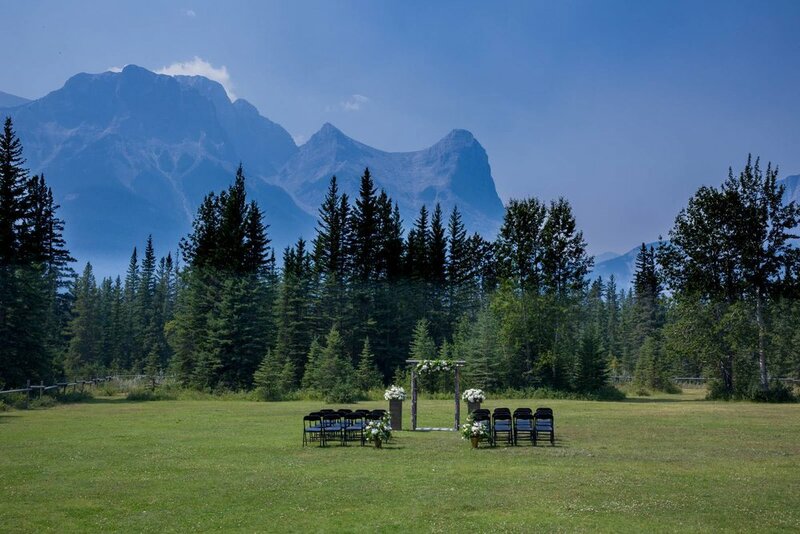 Nestled in acres of wilderness this venue has everything the wedding couple who is looking for in an outdoor wedding. It comes with privacy, a field, amazing views and even some covered spaces for guests to escape to get of the weather.